(This picture was taken from Pinterest). As well as my weekly round up, I am also starting my Motivational Monday posts every single Monday too. I do love positivity and I love sharing it too and the best place to hare positivity is through the blogging community! I wouldn't say I'm 100% a feminist however I do love a good quote aimed at females! 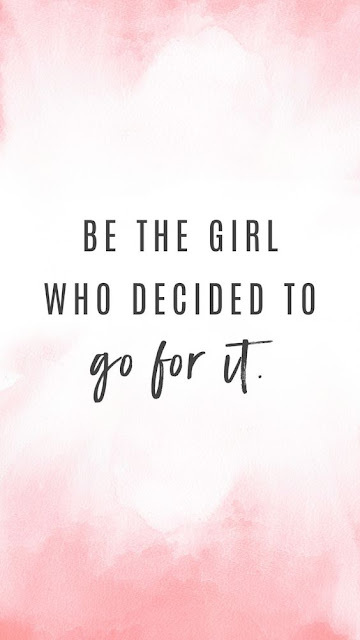 One of my current favourite quotes is "Be the girl who decided to go for it" and this is something I really want to embrace more. I was recently speaking to my boyfriend's Nan and she said one day she hopes me and him will have an incredible house with a little family, while having everyone around us calling us snobby. Although it isn't nice to be called snobby, it proves we're capable of doing something even when everyone told us we couldn't and we're not afraid to hide this. I've always been one of those girls who isn't afraid to show what they're good at and to embrace any skills and qualities I have. If you're good at something, why hide it away from everyone? Although being bullied for this wasn't ideal and did cause a lot of difficulty to my life, I've learnt to ignore these people in the process and to embrace it even more. Basically a way of putting my middle fingers up at them, in the kindest possible way. I found this quote the other day on Pinterest and I couldn't help but love it and it made me think about how true this really is. 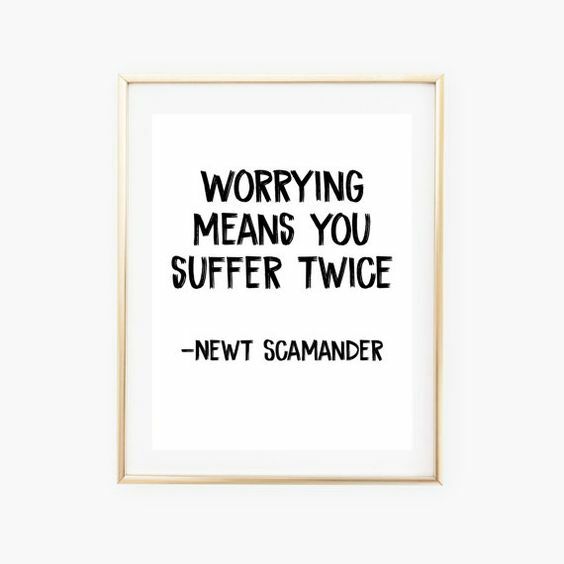 I'm a worrier and I worry about absolutely everything, even the things which haven't happened yet and yes I know what you're thinking; I need to stop worrying about the future when I can't predict what's going to happen. But I have never really thought about how worrying makes me suffer and in fact it does make me suffer twice and I'm sure many people don't think of it this way when they're sat in the corner of their room crying about everything which hasn't happened yet and probably won't happen (this is literally me). So let's just stop worrying. Whether this is worrying about how bloated we look after we've eaten, or worrying about how much money we have spent in one week; who cares? It doesn't matter and it isn't the end of the world. I say this and I'll probably still worry about how fat I look but one day we'll learn, whether it takes months or even years. Slow progress is better than no progress.